Shi Yan was hurt severely, as if he were skinned alive. Blood covered his body, and people could see even his bones. With his strangely vigorous body, a warrior at the same level couldn’t cause him such damage even if he had used all of his power. However, this Master Acceptance Ceremony was different. This kind of backlash was so dangerous that it could be compared to full-power attacks of a True G.o.d Realm expert! At this moment, the Essence Qi of his body, the negative power, and the soul power of his Soul Consciousness were all supplied to the Sky Destroyer divine sword, which troubled him, preventing him from countering the change of his body. His power was decreasing, while the consumption demand was increasing. Such severe wounds and wisdom were inevitable. Shi Jian, Li Zheng Rong, Di Shan, and the others surrounded him, a b.l.o.o.d.y body, to protect him. Bing Qing and Han Cui were sobbing. Tears filled their faces like a shower. Yang Tian Emperor came over to support Shi Yan. His body was still convulsing, as if his tendons and vessels were all broken. If it were an ordinary people, even if his soul were immortal, vitality would be taken from him, leaving him with a shriveled body. Only someone with a highly tenacious body and the Immortal Martial Spirit like Shi Yan could survive. People surrounding him all wore different facial expressions. Shi Yan was now a b.l.o.o.d.y body. Vitality in his body was just a flickering light in the moor. Tendons and vessels in his body started to move like snakes. Gradually, his flesh started to grow back under some strange power. It grew little by little on the proportional skeleton, as his body was formed again. "Ah!" Li Zheng Rong discolored, screaming, pointing at an exposed bone of Shi Yan. "Gold skeleton!" His cry had wakened up many people who were sinking in pain. They all scrutinized, and then found that Shi Yan's bones were like they were molded from liquid gold. Golden light shimmered strangely from them. Di Shan and Cao Qiu Dao couldn’t help but look at Yang Tian Emperor. "Yang-ge, can the Immortal Martial Spirit of the Yang family turn bones golden like that? I have never seen anything so strange!" asked Cao Qiu Dao. Yang Tian Emperor shook his head suspiciously. "This isn’t a feature of the Immortal Martial Spirit, but I’m not sure what it is… The only thing we can confirm is that these bones are too hard." "Golden Skeleton… Golden Skeleton…" Strange glorious light sparkled in Li Zheng Rong’s eyes as he sank into his thought. After a while, he was struck, shouting, "The Giant Clan! The Golden Giant! No, it doesn’t seem right! He doesn’t look like a giant, right?" Everybody was frightened, and couldn’t help but glare at him. "As I know, when members of the Giant Clan reach the King G.o.d Realm, their skeletons would turn golden. We call them the Golden Giant." Li Zheng Rong explained, "Golden Skeleton is the special feature of the experts from the Giant Clan. Besides them, I don't actually know any other clans with a golden skeleton." "So, you think he is like the Giant Clan?" Yang Tian Emperor didn't know whether he should cry or laugh, and just shook his head. "Hm, he doesn’t seem like one," Li Zheng Rong beamed a wry smile. "However, it should be related to the Giant Clan. I can feel a strange energy fluctuation in his bones. Only the Golden Giants have this kind of power." "Don’t guess," Shi Yan spoke up with a hoa.r.s.e voice. "When I was on the Cold Wind Island, I had visited a s.p.a.ce crack. A Golden Giant was buried there. I got his Golden Marrow. After I refined my body, my bones turned golden." "It’s really good fortune that you can add the Golden Marrow to your body. You, you inhuman!" Li Zheng Rong forced a smile. While they were talking, the Utmost Eight Purgatories City had restored its quietness. The entire silver city seemed to be quenched one more time. Each corner of the city now had the intimidating aura of a tremendous power. The Immortal Blood in Shi Yan’s body divided into five drops, suffusing a ma.s.sive blood aura as he was using the Immortal Rebirth Secret to grow his shabby body once again. All of a sudden, the triangle mark Bao Ao had left on his neck became so hot like burning fire, releasing an imposing energy. He couldn’t help but cry. Shi Yan frowned, using his Soul Consciousness to sense. "Kid, how are you doing?" Bao Ao’s voice came from the triangle mark. After a while, a scarlet halo expanded from the mark, creating a vague image. Shi Yan’s eyes brightened, looking the images being projected from his neck. His complexion became solemn. It was the image of the allied army of the five clans, including the Demon Clan, the Dark Clan, the Corpse Clan, the Dark Spirit Clan, and the Ghost Mark Clan. These five clans had gathered outside the Perpetual Night Forest with dozens of thousands of warriors. A heavy pressure like a ma.s.sive mountain slapped Shi Yan’s face from the image. It had almost suffocated him. Shi Yan watched the scene, and a helpless feeling swelled in his heart. He had thought of getting away from this place. His fighting will seemed to have vanished. "They are the members of the five clans. Soon, we will enter the Perpetual Night Forest and visit that Ice and Fire Secret Domain. Hey boy, I heard that you couldn’t stay with the Human Clan. So? Are you interested in joining our Ancient Bao family and becoming one of us?" Bao Ao smiled tenderly like a nice student. There was no evil energy surging from his body. At first glance, he appeared as a harmless man. Shi Yan soothed his pounding heart, pulled himself together, and shook his head to deny the offer. "Sorry, I have stuff I need to do. I don't want to depend on anybody." Bao Ao didn’t get angry. He just nodded, "Okay, no need to hurry. I’ll give you more time to consider. Yeah, you can see how strong the five clans here are." The images changed continually according to Bao Ao’s words. The leader of the Dark Spirit Clan, Comoros of the Ghost Mark Clan, Corpse Mount and Corpse Sea of the Corpse Clan, the three Yama Kings of the Dark Clan, and the dim halo they were protecting, all were visible. As the images changed, Shi Yan felt his heart sink to the bottom, his face grim. "You can continue to consider. The moment before you die, you still have the offer," Bao Ao chuckled, then cut the connection. The triangular mark on his neck disappeared, and so did the images. Yang Tian Emperor, Cao Qiu Dao, Li Zheng Rong, and Di Shan were looking at him with strange expressions. "Did you guys see that?" Shi Yan took a deep breath, asking with a solemn face. "What?" asked Yang Tian Emperor. "You guys didn’t see it?" Shi Yan felt weird. "We just saw a light shot out you're your neck, projecting some dim image in the sky. Then, we saw you mumble. Nothing else," Li Zheng Rong said. Yang Tian Emperor and Di Shan nodded. Shi Yan changed his visage. "The five great alien tribes have started their ma.s.sive scale invasion! Perhaps, they will come to the Ice and Fire Secret Domain shortly. And, they may pa.s.s by our base here." "I saw the three Yama Kings, and so many warriors that could compare to human True G.o.d Realm warriors. It’s impossible to resist this force." Shi Yan thought quickly to a.s.sess the situation. "I’ll activate the Teleportation Formation to the Cold Wind Island in the Endless Sea right now. Warriors under Nirvana Realm can go there directly." He had thought of returning to the Endless Sea. With the Teleportation Formation, it wasn’t a difficult task. However, he also knew that Hades, Abi, Hei Tian and the other experts of the Demon Clan wouldn’t spare the Teleportation Formations in the Endless Sea. So, he didn’t do that. 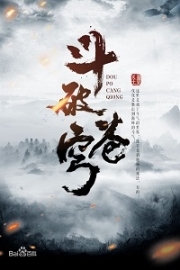 Besides the three Yama Kings, hotshots of the Ancient Jie family had also come to the Perpetual Night Forest. This meant the Endless Sea should be safe temporarily. That’s why he decided to return. However, when he stood in the Teleport Formation, after his Soul Consciousness connected, Shi Yan discolored in fear. Everybody was bewildered, but they all had a bad premonition. "They are destroyed," Shi Yan's eyes were dim and distressed. "The two places that we can reach in the Endless Sea are destroyed. The s.p.a.ce nodes are demolished." "How about the Northern Gem Mountain?" Cao Qiu Dao asked hurriedly. "Defend to the last moment! Besides that thing, we have no other option." The entrance of the Ice and Fire Secret Domain. Yan Ke and Wen Di’s group of one hundred human warriors had reached their destination. Yan Ke coughed. As she was about to notify the guards, she suddenly got something, waving her hands. "Scatter, quick!" Right after that, warriors of the seven ancient factions stormed out of the entrance of the Ice and Fire Secret Domain, which was in a tree trunk. The leaders of this group were the masters of the seven ancient factions, Lin Meng, Nie Ruo, Qin Gu Chuan, and Yun Hao. 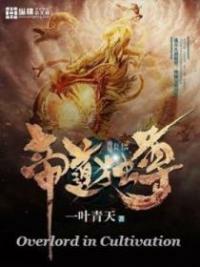 Dozens of True G.o.d Realm and Spirit Realm appeared abruptly, that scared Yan Ke and Wen Di’s team. "Old Yan! Master Wen!" Lin Meng was surprised, looking at the two seniors at the entrance. "Why are you two here?" "The alien tribes want to eradicate Human Clan. They are gathering at the Perpetual Night Forest. As the members of the Human Clan, of course, we are here to contribute our part," Yan Ke said with serious countenance. "You two had crossed thousands of miles to here. We all appreciate your high notion of your duty. It's the good news for Human Clan." Lin Meng was grateful. "Compared to you, some rotten b*stards have made people hate them to the bones. I regret I couldn't smash them into ashes immediately!" "Rotten?" Wen Di was astounded. Then, he said solemnly, "Are they the ones that have joined the alien tribes?" "Yes!" Qin Gu Chuan shouted indignantly. "Master Wen has met them?" Wen Di nodded, his face grim. "On the way there, we found that they have built a city. Befriending with Monster Clan, such rotten traitors!" "Where are you going?" asked Yan Ke. "We’re going to kill those traitors. We want to keep them from joining the alien tribes," Lin Meng shouted. "Is it okay, as we know that the five alien tribes are gathering in the Perpetual Night Forest?" Yun Hao frowned. "Then we should be hurried!" Qin Gu Chuan snorted, then smiled at the other two. "Old Yan, Master Wen, what do you think?" "We have no objection," Yan Ke said faintly. "That's good," Lin Meng's eyes brightened. She thought that even G.o.d wanted to help them, as Yan Ke and Wen Di were here. You're Read God Of Slaughter Chapter 655 online at NovelOnlineFull.com. You can use the follow function to bookmark your favorite novel ( Only for registered users ). If you find any errors ( can't read,broken links, can't load photos, etc.. ), Please let us know so we can fix it as soon as possible. And when you start a conversation or debate about a certain topic with other people, please do not offend them just because you don't like their opinions. You're reading God Of Slaughter. This manga has been translated by Updating. Author(s): Ni Cang Tian,逆蒼天. Already has 3614 views. Current Time is 23-Apr-2019 10:16:54 AM.